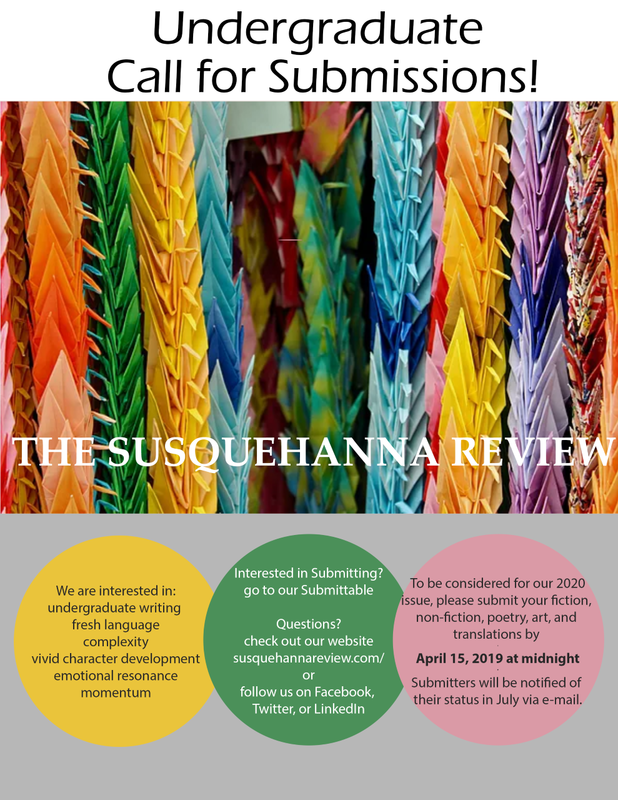 Welcome to the blog for the Villanova English department! Visit often for updates on department events, guest speakers, faculty and student accomplishments, and reviews and musings from professors and undergraduates alike. Many congratulations to graduating English major Meg Carter, who has won a Fulbright award to work as a teaching assistant Galicia, Spain. Fulbright English Teaching Assistants provide part-time assistance to permanent teaching staff at secondary schools, and in a few cases elementary schools and formación profesional schools (vocational training), in English language classes and in other subjects taught in English (such as social studies, science and technology, art, or physical education), for 16 fifty-minute (approximately) class periods per week. 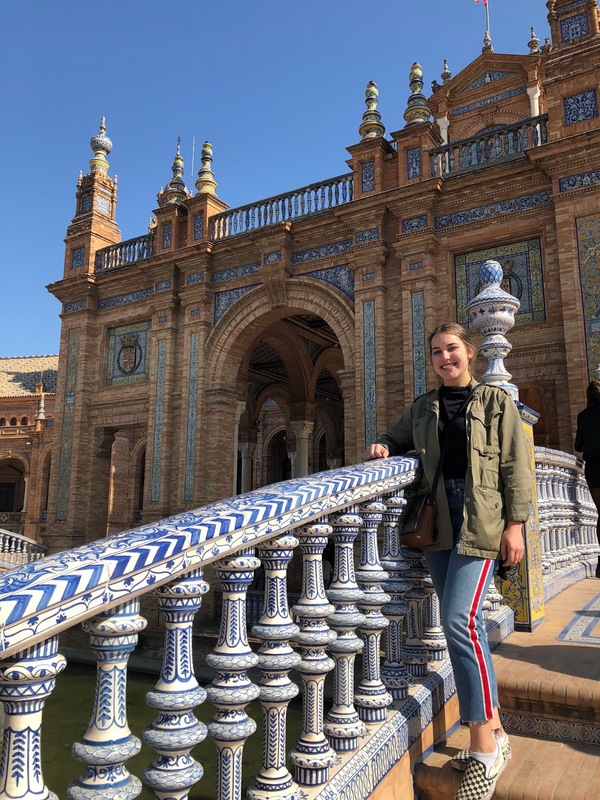 Meg said: "As an English and Spanish double major, I am thrilled to be an English Teaching Assistant in Spain. I look forward to sharing my love of language with my students as they learn and practice English. "While in Galicia, I hope to further my understanding of Spain’s cultural and linguistic diversity by improving my Spanish-speaking skills and learning Galician (Galego), which is one of Galicia’s co-official languages. "I will also be taking on a community engagement project that cultivates cross-cultural learning between the United States and Spain. In my application, I proposed a theatre workshop focusing on American playwrights and plays, and a pen-pal program, though these projects have not been officially confirmed yet." English majors took part in a global student activist movement for the second time this semester when Corina Scott, Alex Forgione, and Molly Bonini led their peers in a "Fridays for Future" demonstration Friday April 12 at the Oreo. 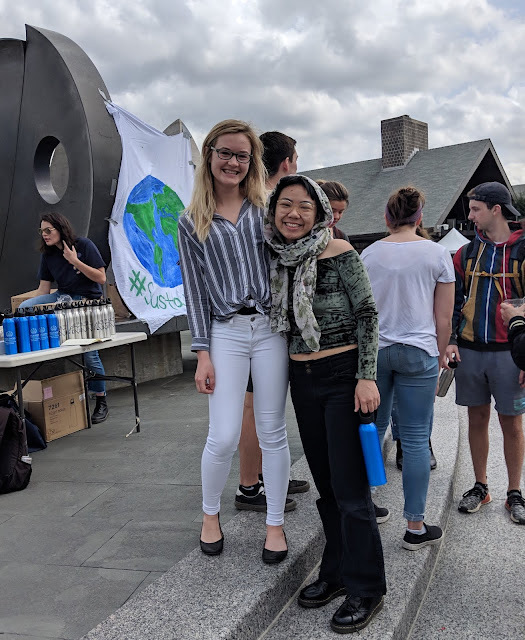 Inspired by Swedish teen Greta Thunberg's example, the students gathered to follow up on their March 15 walkout and march, when they demanded that Villanova do more to fight climate change. They have asked the administration to move the university's carbon neutral date from 2050 to 2030 and to enter into a power purchase agreement for renewable energy by 2020. 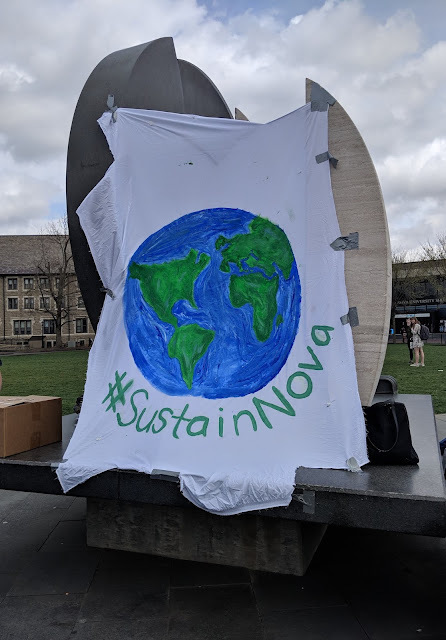 The students covered the Oreo with an image of the earth that displayed their hashtag, #SustainNova, distributed water bottles, and made videos of Villanovans saying why sustainability is important. They plan to compile the interviews into a video to send to Fr. Peter Donohue. Pictured below are Corina Scott (English major) and Yvonne Nguyen (Peace and Justice major), with Alex Forgione (English major) in the background to the left. 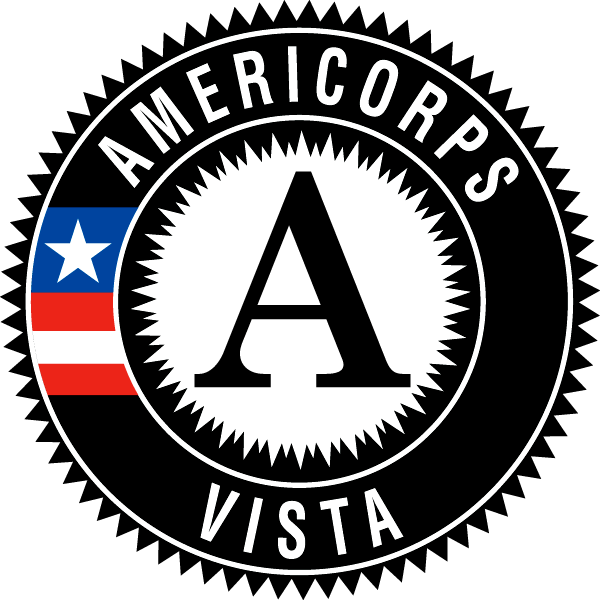 AmeriCorps VISTA (Volunteers in Service to America) is offering Summer Associate positions for the first time and is looking for for current college students or highly motivated individuals who want to give back this summer. The program operates for 10 weeks from May 28 - August 2, full-time Monday - Friday. Positions are like summer internships but include a living allowance stipend and education award, so better! We have several open slots available through the following links. For more information, contact Marissa Cantu at the Center for Family Services at marissa.cantu@centerffs.org. In your cover letter, please be sure to include the name of your undergraduate institution, as well as any of your previous publications, for purposes of inclusion in author biographies. If you have any questions or concerns, please feel free to reach out to our Senior Editor, Samantha Serido, at serido@susqu.edu. This is the second of a pair of articles about Villanova English alumni written by students in Prof. Jody's Ross's Journalism class. What do a journalist and a volleyball player have in common? A glimpse into the life of Emma Pettit can answer this question. Pettit graduated from Villanova in 2016 as an accomplished athlete, student, and aspiring journalist. As a member of the women’s volleyball team, Pettit played in 121 matches and 419 sets during her career at Villanova, setting the record for the third most assists in the program’s history. However, her talents were not limited to the court. Off the court, Pettit worked as a tutor at the writing center and wrote for The Villanovan, Villanova’s student newspaper. Finding her place in the newsroom, Pettit interned at Philadelphia Magazine and The Greeley Tribune, a newspaper in her home state of Colorado. The summer after graduating from Villanova, Pettit began an internship at The Chronicle of Higher Education, a publication she says she had been drawn to in the lobby of Villanova’s writing center. Pettit remembers reading The Chronicle as she waited for her tutoring sessions to begin, captivated by the eloquent and fluid writing. After finishing her internship at The Chronicle, Pettit secured a position at the Arkansas Democrat-Gazette as a reporter on county government affairs. In July of 2018, Pettit returned to The Chronicle, where she currently works as a beat reporter on the civic and professional lives of professors. According to Pettit, she does not have an average day at The Chronicle. However, her daily tasks usually involve some combination of writing stories, scheduling interviews, connecting with people on her beat, and checking assignments off of the miniature chalkboard to-do list she keeps on her desk – her office trademark. While Pettit has traded the volleyball court for the newsroom, she says she still uses many of the skills she gained as an athlete in her position as a reporter. 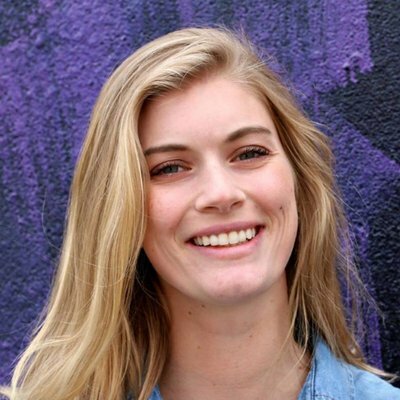 Pettit says her experiences playing volleyball also impacted her attitudes towards success and failure, which she has carried with her into the field of journalism. In addition to her experiences as an athlete, Pettit says her liberal arts education at Villanova provided a strong foundation for her career as a reporter by fostering her critical thinking skills. 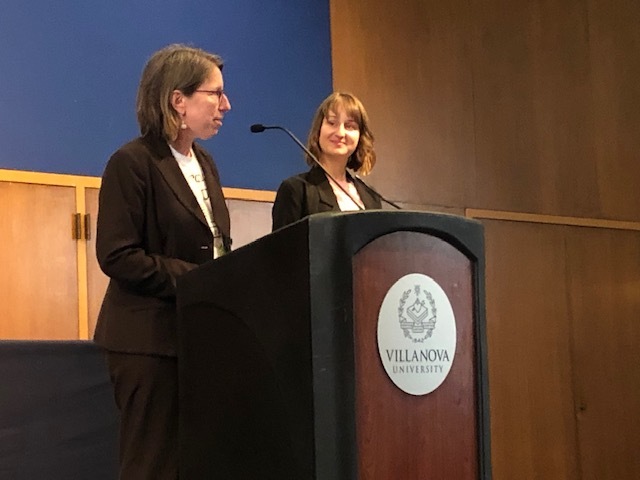 While Pettit says she was initially overwhelmed by the philosophy, ethics, and ACS course requirements, she found these courses to be some of the most rewarding at Villanova. Pettit, who majored in English, attributes her growth as a writer to the English Department’s courses and professors. Pettit says she first learned how to listen to criticism of her writing during workshops in Professor Alan Drew’s creative writing course. According to Pettit, learning how to distance herself from her work has been invaluable to her career as a journalist. Quigley, who taught two of Pettit’s English courses at Villanova, says the English Department aims to diversify students’ skills as writers. Working at The Chronicle, Pettit continues to receive advice about how to become a better writer and reporter. With several accomplishments under her belt, Pettit has her own advice to give, too. While Pettit may not be strengthening the same muscles she once did on the volleyball court, she has not forgotten the valuable skills she developed as an athlete. During her time on Villanova’s campus, Pettit allowed her talents to flourish inside and outside of the classroom. Now, as a reporter for The Chronicle, Pettit is using her talents to share the stories of students and professors on college campuses across the country. Q: How would you describe your job in three words? This is the first of a pair of articles about Villanova English alumni written by students in Prof. Jody Ross's Journalism course. 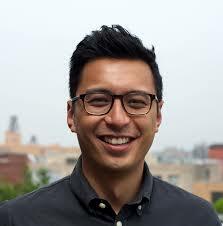 Alex Abad-Santos, English alum from 2004, started off as a freelancer, interned at Esquire magazine, went to graduate school, took an an internship at Style.com while he completed his master’s degree in journalism, wrote for Atlantic magazine, and finally worked his way up to become the senior cultural reporter for Vox. In other words, he has enjoyed professional success in journalism ever since he graduated from Villanova. But if you told him all that would happen when he was sitting at Villanova’s commencement ceremonies, when he had no job lined up, he probably would have laughed. “I thought if I wanted a life full of money, I should just become a lawyer,” Abad-Santos said. Scoring high on the LSATs, Abad-Santos was under the impression, like many English majors, that law school was his best option post-graduation. His resume was rather weak, another sign that more schooling was necessary, he said, laughing. He soon changed his mind, however. “I interned at a law firm, and it was pretty horrible,” Abad-Santos said. "Lawyers were working all day and sleeping in their offices." Referring to this law internship as a life-changing experience, he said he knew whatever he ended up doing, it had to be better than writing contracts while listening to the snores of his cubicle neighbors. Abad-Santos joked that he originally majored in English due to his poor math skills, but he also expressed appreciation to his undergraduate professors at Villanova University for their enthusiasm and love for their subjects, inspiring him to do the same thing— figure out and do what he loved. Despite his love for writing, Abad-Santos said it took him a while to put two and two together and pursue a writing career. During an awkward period of uncertainty, he moved to New York City and floated around, looking for internships to make up for his slacking during undergrad. Straining to identify his skills, he decided to go back to school for his master’s in journalism at the City University of New York. He wanted to get into writing and learn how to write for the Internet and cut videos for online platforms. Abad-Santos was open to any creative opportunity, which led him to take an unconventional route, finding himself at the start of a new platform. He interviewed at the Washington Post with Melissa Bell during its transition to ownership by Jeff Bezos. Towards the end of 2013, Abad-Santos received a call from Bell, asking if he wanted to apply for a job at a new news outlet. Uncertain exactly what he was applying for, but nonetheless excited, Abad-Santos sent in an application and found himself working for Vox a week after it launched. With the company for almost five years now, he was recently promoted to senior correspondent. Though he has flexibility with his work schedule, his workload changes depending upon current events. From having to be on call when someone famous dies to working on weekends when something happens on his beat, he is always expected to be on alert. He spoke candidly about the drawbacks of his job. He added that journalism is an industry in which you can never feel completely safe, as job security does not exist. For now, he is enjoying his full-time job at Vox, half-teasing that the best part is having benefits, stock options, and paid vacation time. He also likes the work itself. Abad-Santos covers everything comic-book or superhero-inspired. He refers to his beat as the “mainstream superhero movies,” covering Marvel and DC Comics, the top two rival superhero producers. Though he gets to write on things he loves, his passion lies in the writing itself, Abad-Santos said. Even after all his years in the journalism industry, it still surprises him that people other than his parents are reading his work. Abad-Santos is pursuing his dreams and doing what he loves. “People often say, ‘Doing something you love doesn’t feel like work.’ When you’re doing something you love, you want to keep doing it,” he said. 1. Get your internships!!! Don’t think you can waltz into a job because that doesn’t happen. 2. Enjoy undergrad. You have this amazing bubble to learn and experience life. Get good grades but remember that this is a once-in-a lifetime chance. 3. Be realistic about journalism. It doesn’t have the paycheck of doctors or lawyers. It’s something you want to do regardless of the money. 4. Think about where you want to write and what you like about those places and what excites you. 5. Keep reading. The only way to become a better writer is to keep reading. 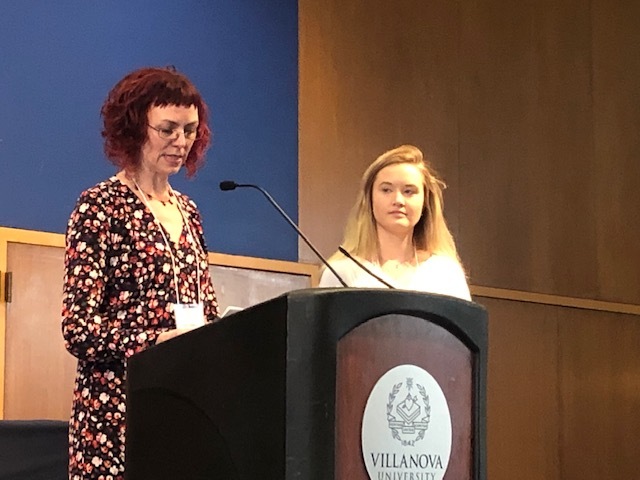 Congratulations to Senior English major Corina Scott, who won the award for the best undergraduate paper at this year's Gender and Women's Studies Conference! Corina's paper, "Violence and the Mechanism of Testing," was written for a class she took with Dr. Alice Dailey, who said: "Corina studies how in three texts—Chaucer’s The Clerk’s Tale and Shakespeare’s The Merchant of Venice and Pericles— male characters invent testing plots to exert control over their wives and daughters. "These include the test by which Chaucer’s Griselde proves her patience and obedience by surrendering her children up to her sadistic husband; in The Merchant of Venice, the test by which Portia’s suitors are emasculated, dismissed, or rewarded according to her dead father’s will; and in Pericles, the pseudo-test by which men seeking to marry the princess of Antioch end up losing their heads, whether they pass or fail, so that her father can continue his incestuous abuse of his daughter. "Corina argues that in this literature, the test is a mechanism for “mystifying” violence, by which she means that the test plots cover up aggression against women or other men, and instead re-present that aggression as a seemingly benign game, riddle, or challenge. "In her meticulous, nuanced analysis of the test plots, her work uncovers the troubling way women characters are made to function as “mediums” through whom toxic masculinity is “exercised and performed.” Corina’s essay exemplifies the astute, penetrating, beautifully written analysis that has characterized her work throughout her time at Villanova." For the first time ever, the judges this year picked a second paper for an honorable mention, Gracie Stagliano's "For the Love of Light Skin: The Dangerous Mulatta in Chester Himes' A Rage in Harlem and Walter Mosley's Devil in a Blue Dress," which she wrote while serving as a teaching assistant for Dr. Jean Lutes's class, "Crime Fiction and Gender." Dr Lutes said: "Gracie's paper examines a figure she calls “the dangerous mulatta” -- a figure that repudiates racist representations of mixed-race heroines by offering an alternative vision, a female character who refuses to be tragic. "Gracie’s paper is especially impressive because of its nuanced analysis of whiteness, or relative proximity to whiteness, as a tremendous asset when operating in a racist system. "She makes an instructive comparison between the mixed-race women featured in these two very different crime novels, and she calls attention not only to the racial and moral ambiguities these characters embody, but also to the oppression of the patriarchal legal world they inhabit and resist."